The 4TB HDD is a consumer-graded drive available in 3.5inch and 2.5inch form factors. The drive is produced by many known hard disk manufacturers including Sandisk, Western Digital, Samsung, Toshiba and others. These drives are gaining popularity nowadays because of their huge capacity that eliminates the need for having multiple drives in the hard drive rack. The 4TB internal hard disks are used by both the consumers and enterprises. A normal user can use these hard disk drives for routine tasks such as storing songs, games, documents and visuals. For a laptop, a hard disk drive of 2.5-inch form factor having 5,400 RPM will be sufficient. For a desktop, a hard disk drive of 3.5-inch form factor having 7,200 RPM will be enough. 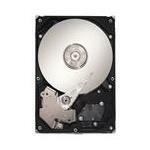 You can buy 4TB SATA Drives and 4TB SAS Drives based on your system hardware. In enterprises, the 4TB internal hard disk drives are used by web, email and gaming servers as well as Virtual Machines (VMWare). Of course, the priority is speed and the focus is on fast retrieval of data. Here, 4TB Enterprise Hard Drive of 10,000RPM or above will work like a charm. These HDDs can be used in enterprises, for small businesses and for personal use because of their capacity and improved data retrieval rate. Get 4TB Hard disk drive today and make computing easy.